Lark has dreamt about chess every night for the past week. In the dreams, she stands fixed to a spot, unable to move for what feels like hours at a time, her only company the unspeaking fairy on the opposite side. On this particular night, though, she isn’t alone on her side the board. Instead, she’s joined by three men, the same three men she dreamed about a few nights earlier. The tattooed man is another pawn, the young man a knight, and the haggard man is the king. She looks at them quizzically. “Hello?” Her voice echoes in the still air. Their gazes are fixed forward and they remain motionless. Suddenly she feels compelled to move forward. She takes two large steps, then glances back over her shoulder, but the rest of the pieces--and people--remain where they are. She looks forward again, and there’s the strange fairy, smiling at her with her wide, twisted mouth. Lark wakes up in a rotten mood. She looks at the clock on her nightstand: 5:30 AM. It’s far too early, well before anyone else is typically awake. She yawns as she trudges down the stairs towards the kitchen. She stops when she hears a voice drifting up the stairs: it’s her mother’s, speaking her name. 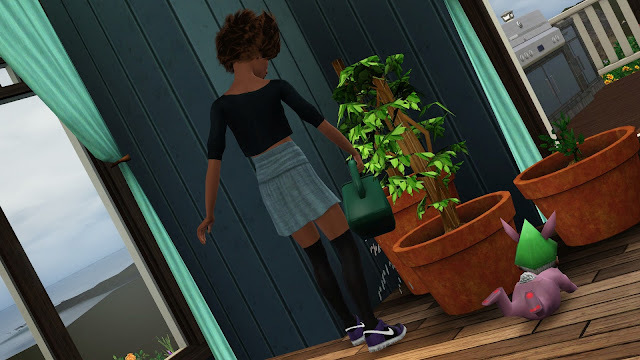 She tiptoes down the last couple of steps and peeks around the corner. Her parents are sitting at the dining room table, deep in conversation. “I don’t know,” Quentin shrugs. The floor creaks, startling Luna and Quentin. They turn to the noise, but Lark has already made her escape, having bound back up the stairs in a panic. The conversation made no sense to her, but her parents sounded so serious. Lark is used to her mother’s despondency--she has her ups and downs, which is balanced by her father’s unrelenting optimism. But her mother sounded graver than normal. The conversation echoes in Lark’s mind all morning, filling her with a sense of dread. Could she be in trouble? Has she done something unforgivable? Was it the bubbles? None of those conclusions match up with the concern for her in her mother’s voice, but paranoia begins to overtake her anyway. She tries to clear her head by tending to the Bee’s indoor garden While she had been banned from touching the Bee garden as a child, that ban was overturned once it became obvious that Quentin could no longer tend the rapidly growing garden by himself. Lark is a natural, though, and soon takes over most of the work. This is a relief to Quentin--it frees him up to spend more time on some of his other hobbies, such as chess, and it’s good to know that his youngest daughter has a hobby. She has rarely shown an interest in anything other than video games and spending time with her friends. Not that either of those things are bad, of course. They just can’t be represented on a CV. 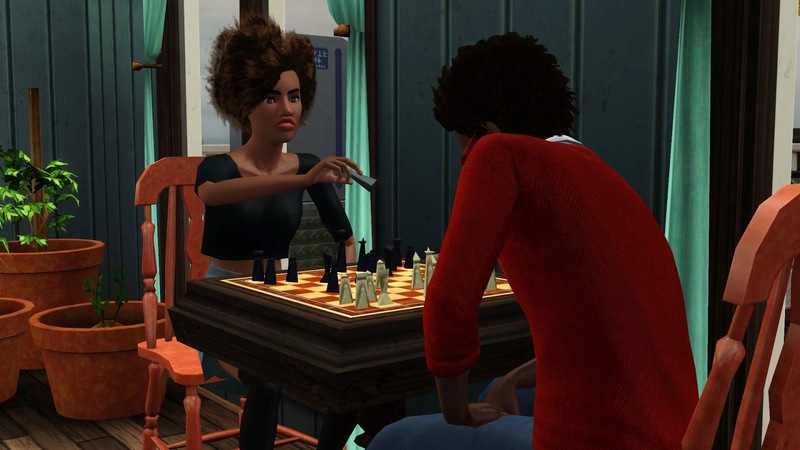 So Quentin is a little surprised when she asks to learn how to play chess. 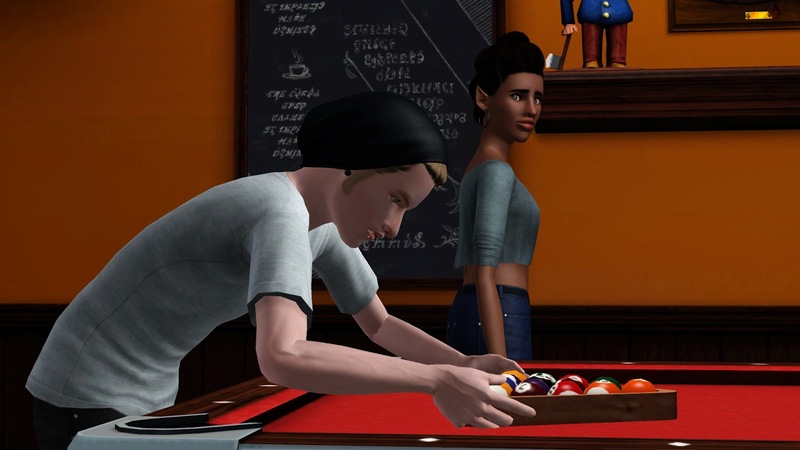 “I thought Luke tried to teach you?” He asks as he sets the board. “Yeah, but he’s kind of a bad teacher. So how do the pieces work again? Quentin explains each piece on the board, gesturing as he talks: “Eight pawns, two knights, two bishops, two rooks, a king, and a queen.” He demonstrates how each piece can move differently. Lark can hardly follow her father, but he tells her what to do on each step. She wins in the end, but it’s a manufactured victory. “Well, it’s not that formulaic. Typically you push your central pawn to the middle, and then line up your pieces in such a way that will allow you to divide the board…” Quentin continues, but Lark’s eyes glaze over. Why is this so hard? It shouldn’t be that hard. As his voice drones on, she becomes angrier and angrier. 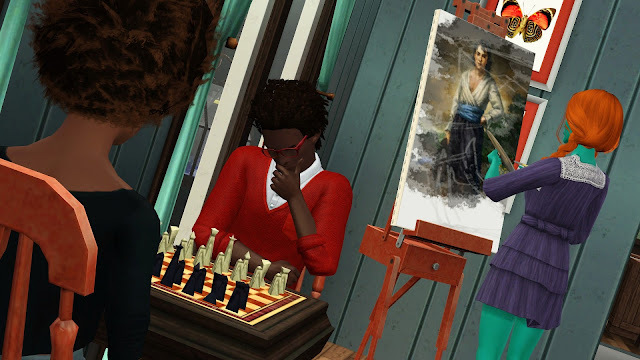 While a boy isn’t Lark’s reason for wanting to learn chess, there is indeed one on her mind. 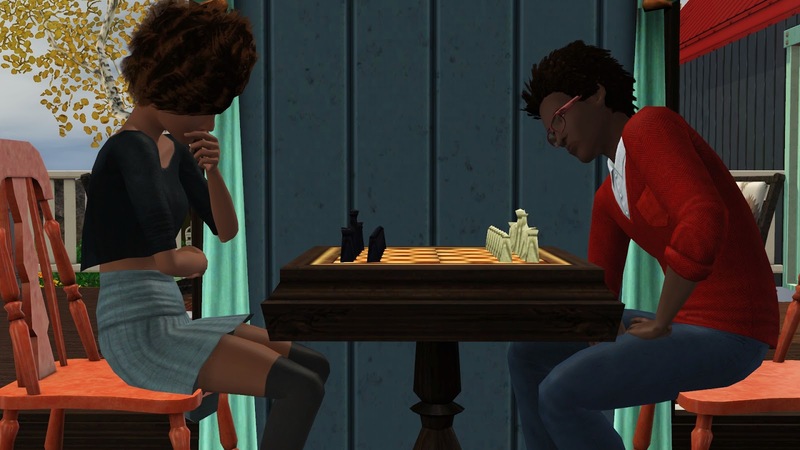 And when Nikolas texts her in the middle of losing her third consecutive chess game, she’s more than happy to accept his offer to hang out. 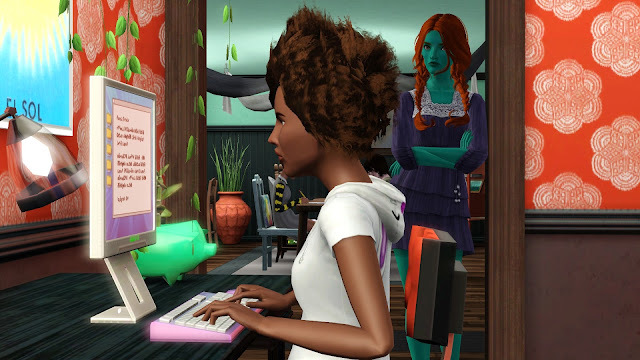 Besides, Kyra isn’t answering any of Lark’s texts right now, so she doesn’t exactly have better offers on the table. Thus, she agrees to meet Nikolas that evening. Lark breathes in deeply as she smooths her shirt. With Lydia’s help, she had coiffed her hair into a tight bun-hawk. The hairpins tug at her hair and her scalp aches from the tension, but she ignores it. She can deal with the pain; she’s just afraid that the hair makes her look stupid. “Don’t start what you can’t finish,” he smirks, “Aww, I didn’t mean it. C’mere.” He gestures for a hug. Lark rolls her eyes but reluctantly leans in. Nikolas wraps his arms around her and squeezes tight, tighter than she expects. He holds her for a few seconds, his breath hot on her neck before she shifts uncomfortably and pulls away. He lets go hesitantly, but not before gently running his hand from her shoulder down her arm, eliciting a shiver. Nikolas invited her out to play pool. 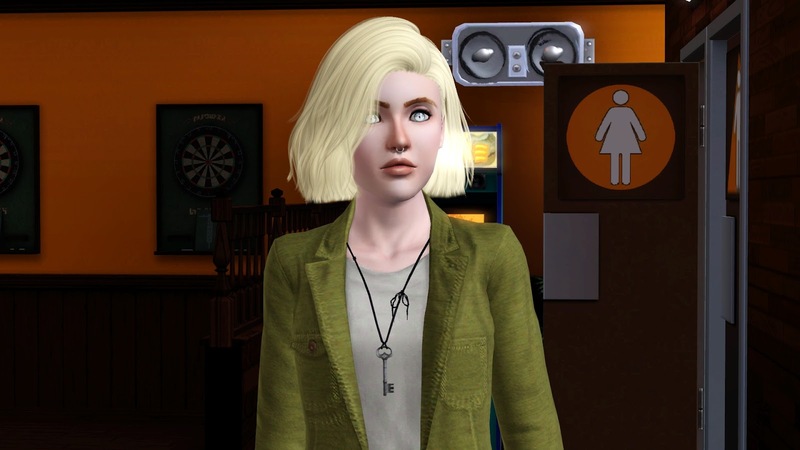 She had recommended Level Up (it’s bright, packed with people, and geared towards teens), but he insisted on a local pub, Bartleby’s. 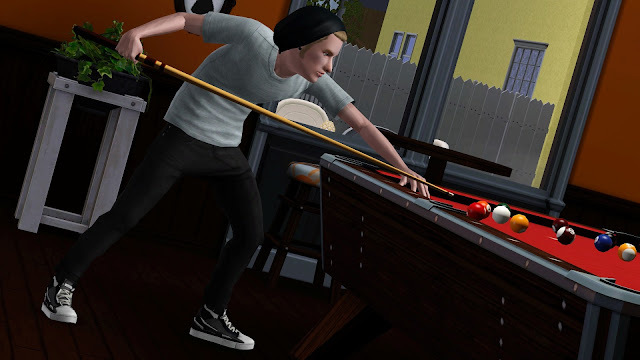 It’s small (“intimate,” the pub’s website claims), dark (“atmospheric”), and staffed by a bartender who doesn’t ask any questions about the patronage of teenagers (“friendly”). Nikolas offers to rack up the balls and break first. His face is serious as he focuses, and he doesn’t waver as Lark taunts him. “I won’t,” he replies aloofly. Lark surveys the table. He has made good progress, but she’s well-practiced. 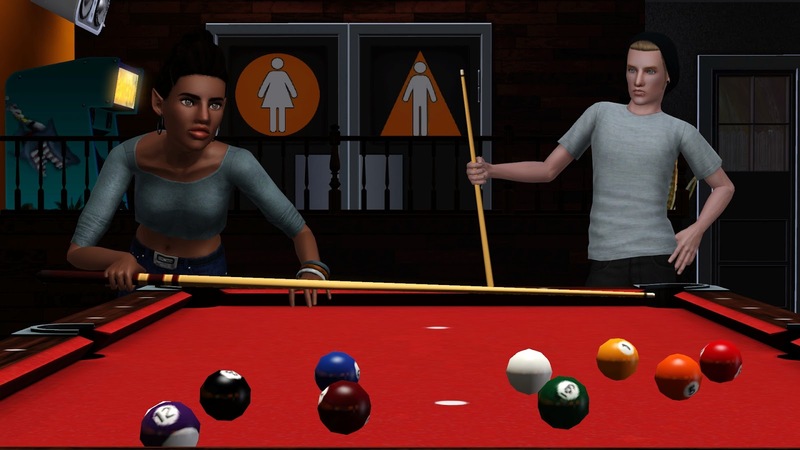 She settles on a strategy and leans forward, putting her weight on the pool table as she lines up her shot. The balls bounce off each other, and three sink--including the eight. Game over, man. Game over. “If that’s what you wanna call it,” he shrugs. Nikolas suggests a game of darts next, but Lark declines. Her stomach is rumbling, so she finds a seat at the bar and examines the pub’s menu. “No alcohol,” the bartender reminds her as she curiously inspects the cocktail list. 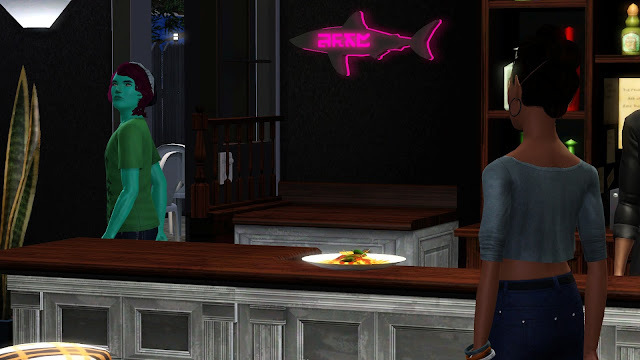 As Lark waits for her overpriced, poorly prepared bar food, she notices another patron enter. And to her surprise, it’s Kyra, who hasn’t returned any of Lark’s texts for the past 12 hours. Kyra doesn’t notice her, though. She heads straight for the bathroom, never once looking back at Lark. Lowell enters the bar seconds later, just in time to find a fuming Lark. “Go on a date. 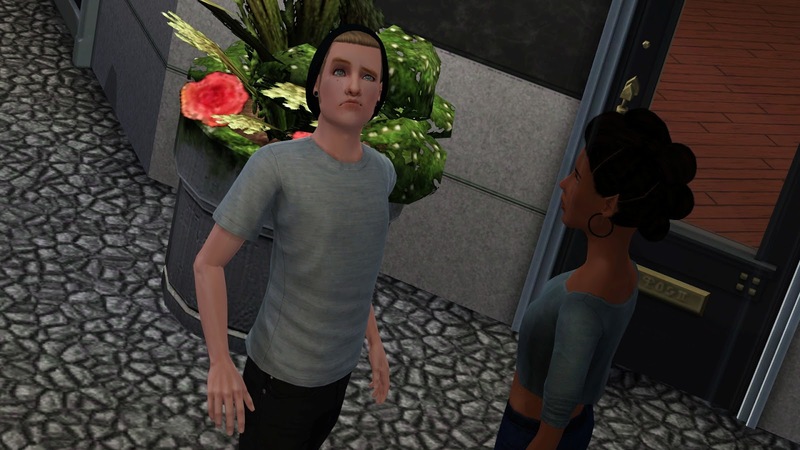 I understand,” Lark glares at him, but he refuses to make eye contact. 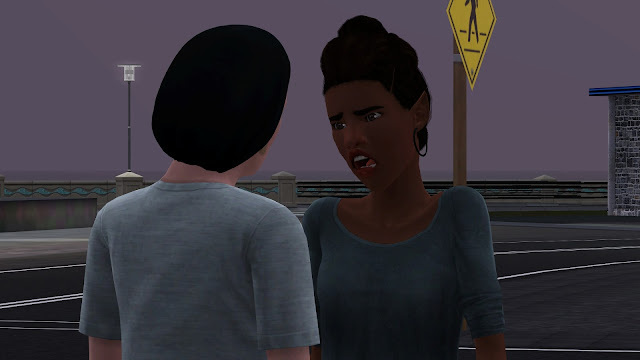 “Please don’t take it personally,” Kyra pleads. But Lark’s icy retreat speaks volumes. 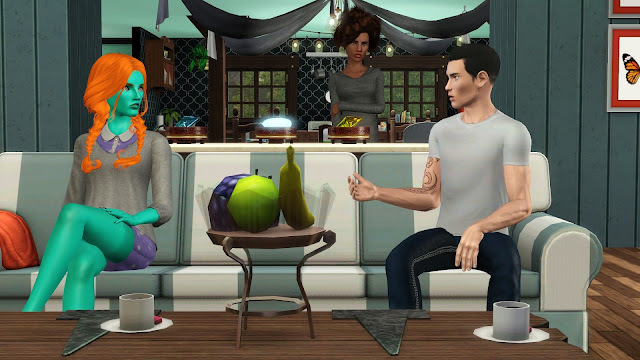 Lark takes the nachos to a table near the bar, and Nikolas joins her. “Did you invite your friends?” he asks, “I mean, that’s fine. 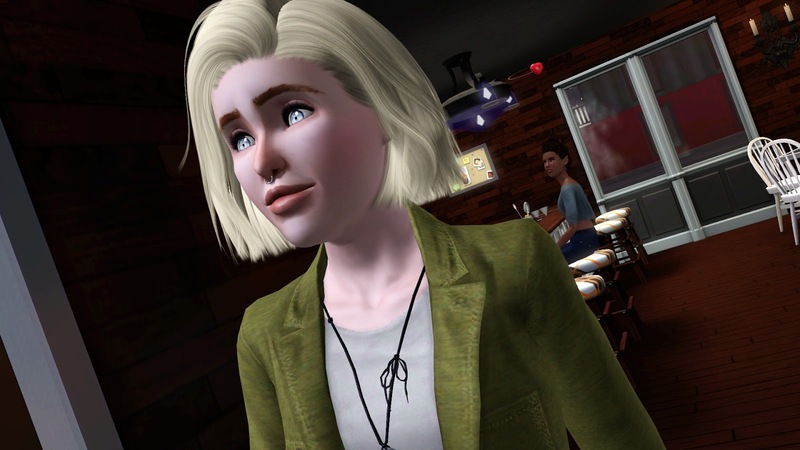 I just thought it would be the two of us.” He serves himself some nachos, somewhat presumptively--Lark feels like she could eat the whole plate, but it seem she’ll have to share. “No, they’re here on their own,” she grumbles. The conversation becomes softer after that. Her antagonism towards Nikolas fades away, replaced by conspiratorial gossip as the two talk quietly about Lark’s friends--her sneaky, lying, unfair friends. It becomes clear how similar he is to her: lonely, weird, a little mean, but playfully so. It makes him perfect company for a night like tonight. And he’s pretty cute, though Lark is loathe to admit it. It’s well after curfew by the time the pair finishes the nachos and their conversation. It’s a cold night, signifying the beginning of autumn, and the air smells of rain and wet grass. The moon peeks out from a gathering of clouds, illuminating the wet streets. As they step outside, it begins to rain. “I had fun,” Nikolas smiles, “maybe next time we can something that involves better food, though?” She watches his lips as he talks, but she barely hears his words. She’s distracted ruminating on a question, one that she’d thought of the night she met him: do his piercings make kissing awkward? “Just something I’ve been wondering about off and on since I’ve met you,” her heart begins to beat faster, and she immediately regrets bringing this up. She tries to think of a lie, something she could say in place of the embarrassing truth, but she draws a blank. Suddenly--and with too much force--she jolts forward, clumsily pressing her lips against his. 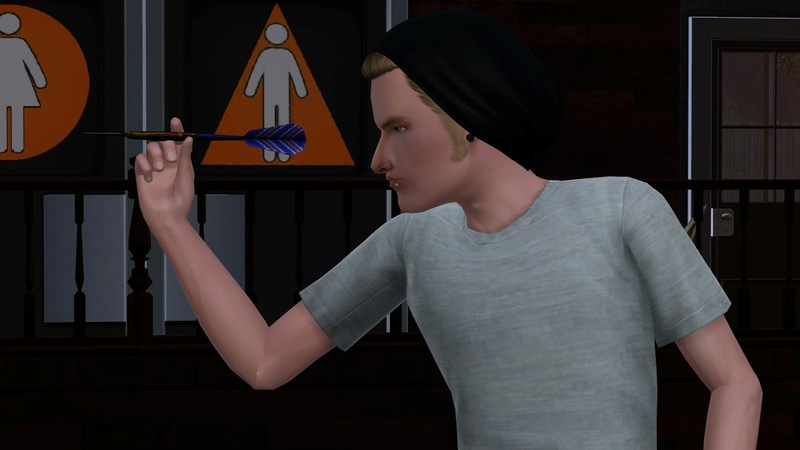 She hardly even notices his lip rings, though she can feel his lips are a little chapped. When she pulls back he stares at her, his eyes wide with surprise. It matches her own--she doesn’t know where this came from, but she felt overwhelmed by the question, compelled to seek its answer. “That was,” he trails off. “The answer to my question,” she cringes as soon as she says the words. She doesn’t know it now, but the memory of this graceless kiss is going to resurface right before bed at least once a week for the rest of her life, the cause of many sleepless nights. “Surprising,” he finishes with an awkward smile. He grabs her hands, which are shaking a little from the adrenaline, and pulls her in for another kiss. When the two finally part, Lark feels far too warm and incredibly lightheaded. Lark types quickly. 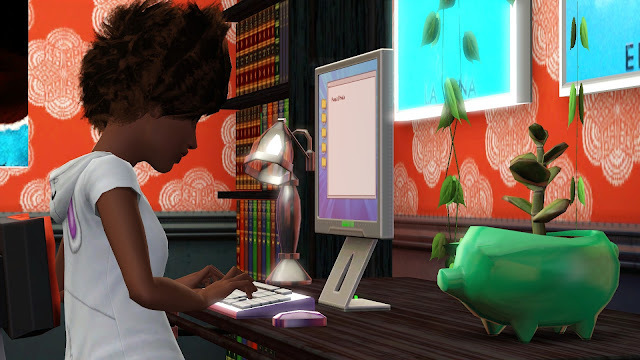 She’s writing a short story for the next meeting of the Nature and Nurture Writer’s Club. It’s proving to be an interesting exercise, and--more importantly--it’s keeping her from looking at her phone every two seconds. It’s well into the evening the day after her date with Nikolas, and so far he hasn’t fulfilled his promise to text her. But that’s no big deal. She’s not the kind of girl who would let a boy get her down. “What have I told you about using my computer?” Lark jumps when she hears her mother’s voice. Luna is leaning in the doorway, her face blank. “I wouldn’t,” Luna leans over Lark’s shoulder, her eyes darting back and forth as she reads. 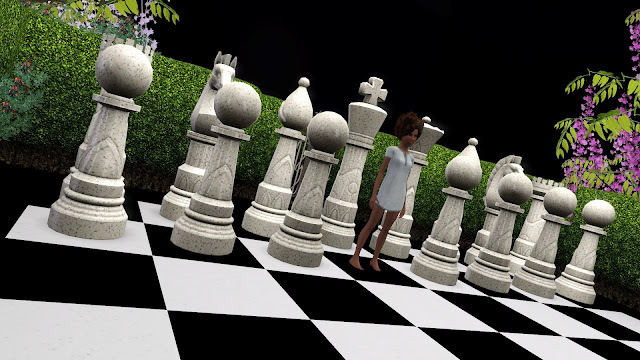 It’s a sparse short story, only a couple of pages long, about a girl playing life-sized chess against a fairy queen. It’s overwritten--far too many unnecessary adjectives and adverbs, many of which fit awkwardly into the prose--but the metaphor is interesting, if not overused. But the story sounds so similar to something Luna had heard just a few days earlier. She frowns. Her decision is made for her, it seems. “I think we need to talk.” Luna pulls up a chair and sits on the edge, her back straight. But it isn’t a few days. 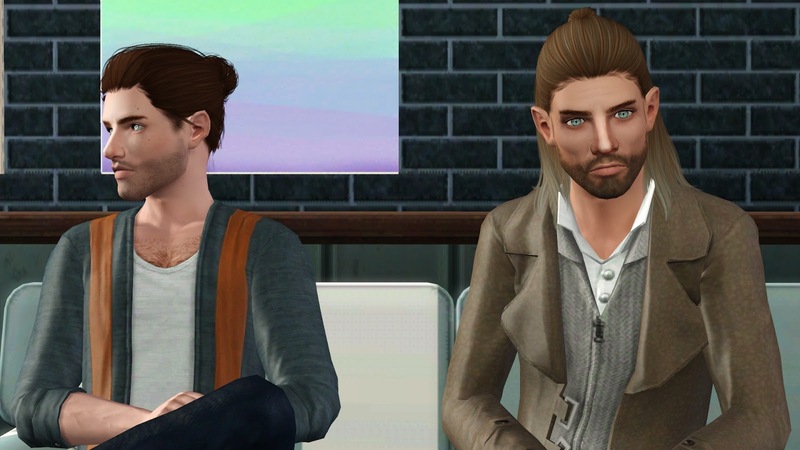 The following afternoon, Lark comes home from school to find three familiar strangers sitting in the living room. Her chess partners: the haggard man, the tattooed man, and the young man. Author’s note: I sent Lark out with Nikolas for because she has the friendly trait and rolls a lot of wishes to hang out with people. She immediately rolled a wish to kiss him, hence the haphazard first kiss. That, and I can’t write a romantic scene without it being steeped in awkwardness. 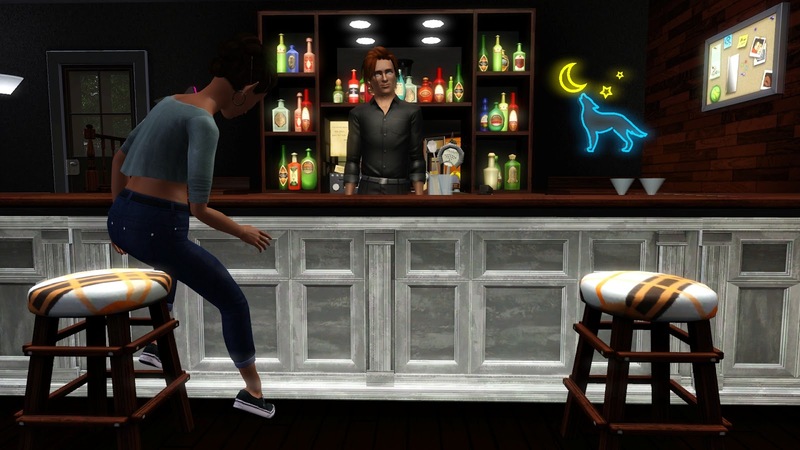 Kyra and Lowell showed up at the pub on their own and flirted throughout the night, which I thought was cute. I tried not to intervene that much, hence the sparse conversation. 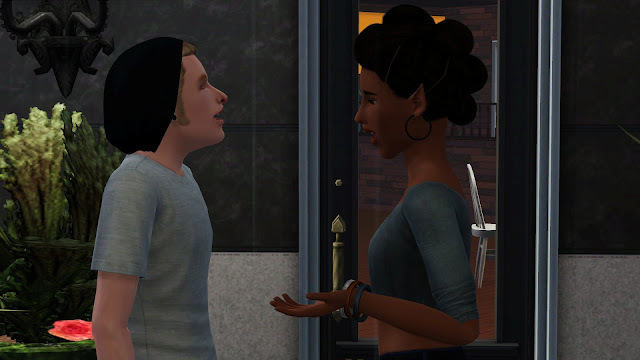 By the next morning, I got a notification from Story Progression that they were dating. I’m happy with that, but I figured Lark would be a little peeved. Nikolas is indeed one smooth cat. I wanted to make it markedly different than Mikey because Mikey has just been so enjoyable and cute in your story and I didn't want to step on that. I am incredibly excited to find out where this story is going! <3 Thank you for sticking with it to give us some closure about the poor mage who lost his daughter. If at least Mercury or Bastian (that's what it was, right? ), don't make it out of the dream realm alive, I might cry. I don't know the other guy so you can sacrifice him. I already know Lark will make it out alive, so I'm not worried, but still. Yes, his name is Bastian (which I believe I got from you, actually). Aww, I don't want to make you cry. ;_; But I appreciate your willingness to sacrifice the new character to save them. 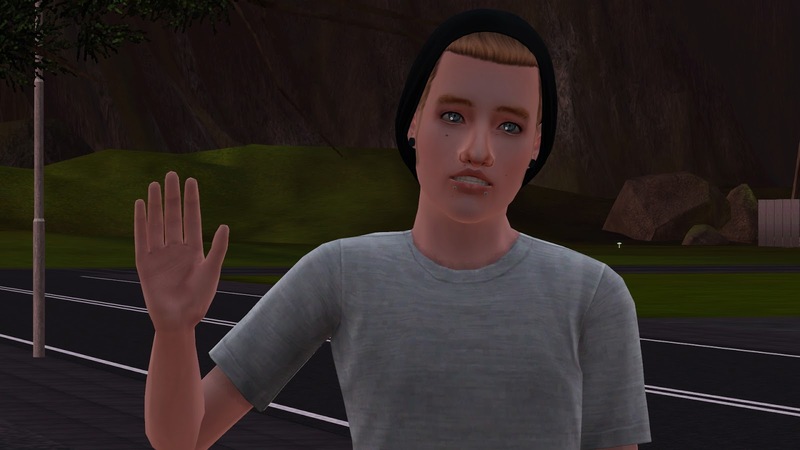 And yeah, Lark will be okay because she needs to go on to have the third generation. Intriguing storyline! Can't wait to see what happens next. Lark is still an incredibly likable character so far, I wonder if things will get serious between her and Nikolas? Thanks! Nikolas is cute so...maybe? I kinda like the way the two of them look together. 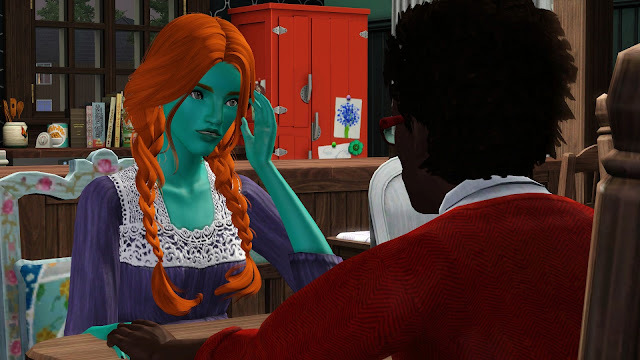 First of all, I'm impressed how detailed the story is, I'm definitely way too lazy for this kind of Sims blogging =D When I saw there are 24 chapters I thought it must already be the 4th generation or something, heh. You're a really good writer (and chess player? LOL), and I love the dream scene pictures! Where are the life-sized chess figures from if I may ask? Expansion, store, CC? Thanks for reading! That reminds me--I need to update the summary. I think it's been a couple of chapters. Thank you! I'm actually a horrible chess player, but I tried to give the illusion that I know more than I do. 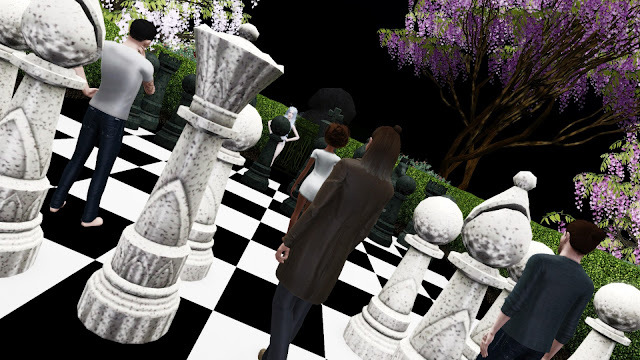 The chess pieces are from Showtime--they're under the props category, though I had to download the Simport Rewards unlock from MTS (http://modthesims.info/d/470934) in order to have the queen and king pieces. Great chapter! Even more so now that I read your author's note in the end. I'm surprised that Kyra and Lowell's date was the game being random. You did such a beautiful job including it in the story - I would have thought it was planned! 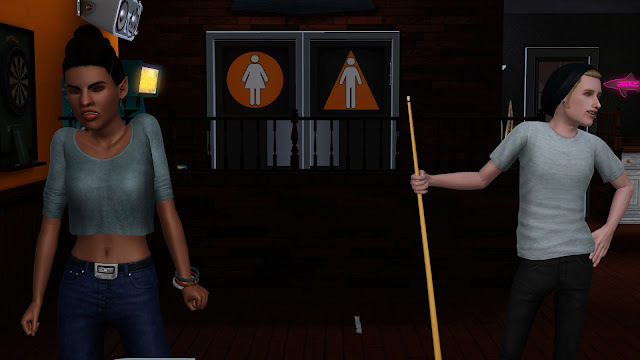 I couldn't deal with the game doing stuff in the background while playing my legacy family. I'm far too controlling, but I love that you made it part of the story! I know a little bit. I read up a lot on it before I wrote this chapter. I'm not good at it. It's sooo freaking complicated--programming chess on computers actually led to the first forays into artificial intelligence because of how complicated strategy can get.